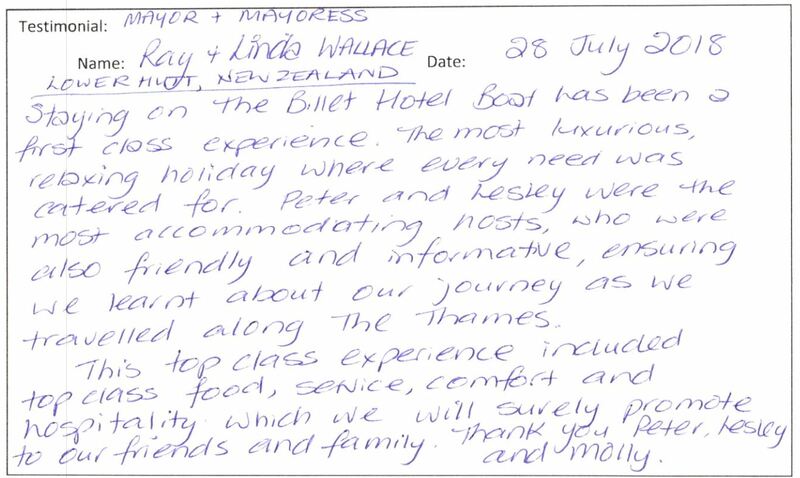 Staying on The Billet hotel Boat has been a first class experience. The most luxurious relaxing holiday where every need was catered for. Peter & Lesley were the most accommodating hosts, who were also friendly and informative, ensuring we learnt about our journey as we travelled along the Thames. This top class experience included top class food, service, comfort and hospitality which we will surely promote to our friends and family. Thank you Peter, Lesley and Molly!